Wiping the bleariness that still rested around my eyes, I padded into the kitchen. The pup sat down on the floor, jingling her tags as she scratched at an early morning itch. My socks shuffled along the laminate floor as I turned the faucet to fill her water bowl. Through the window, I suddenly noticed the kitchen was a wash of soft, neon pink. Bouncing and lighting on the counter and casting a haze on the lace curtains. 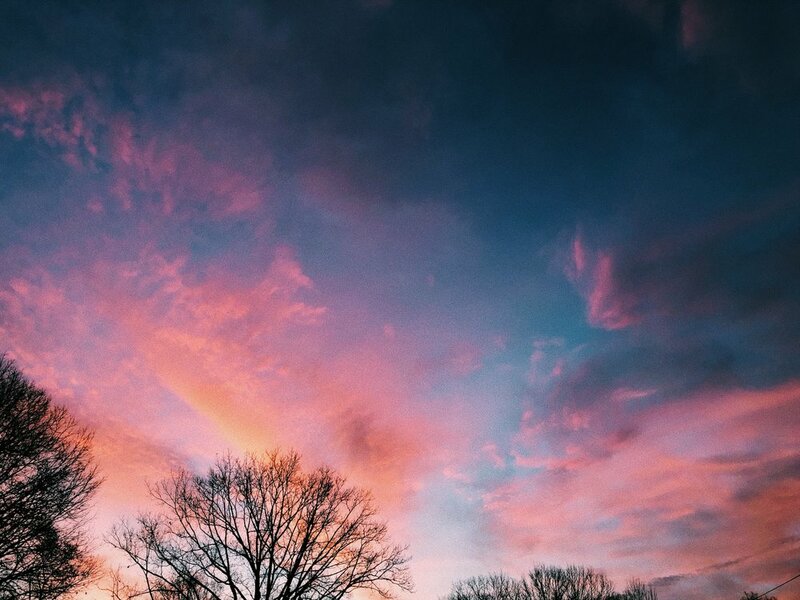 The sky was canvas of hot pink and deep, velvety blue, the air outside, cold and crisp, fighting for warmth and a new season.